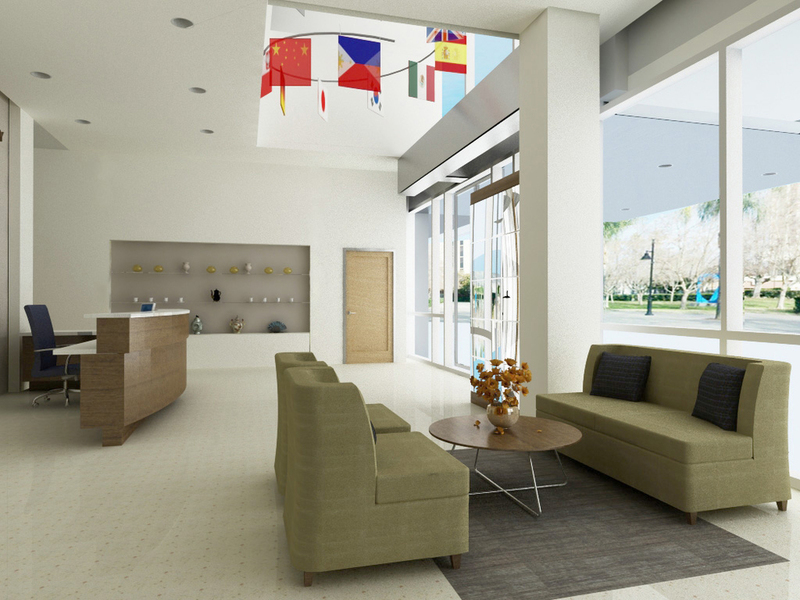 To reflect the character, tradition and innovative thinking of the oldest university in California, our team carefully selected finishes and color schemes for the new 3-story building planned for the International & Extended Studies program. This space includes the lobby/entry, reception, executive offices, conference rooms, faculty work areas and support spaces. 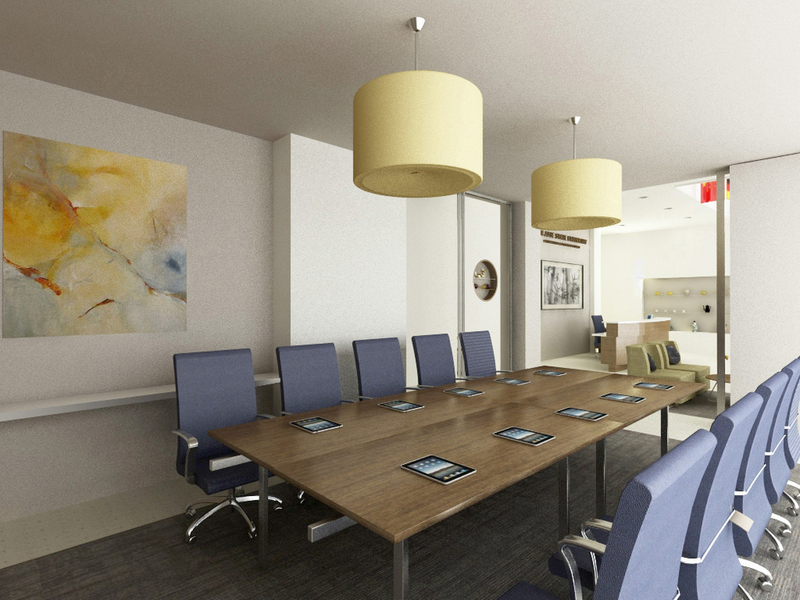 Strategically connected to the lobby, the first floor conference room can be transformed into an event space using an innovative movable wall system with integrated audio-visual capability. Celebrating the diversity of the student population, a collection of flags from around the world will suspend from the double-height lobby ceiling. A display of diverse art graces the open lobby with the main focal wall behind the reception desk to include a painting by the famous Chinese artist, H.H. Wong, a gift to the university.